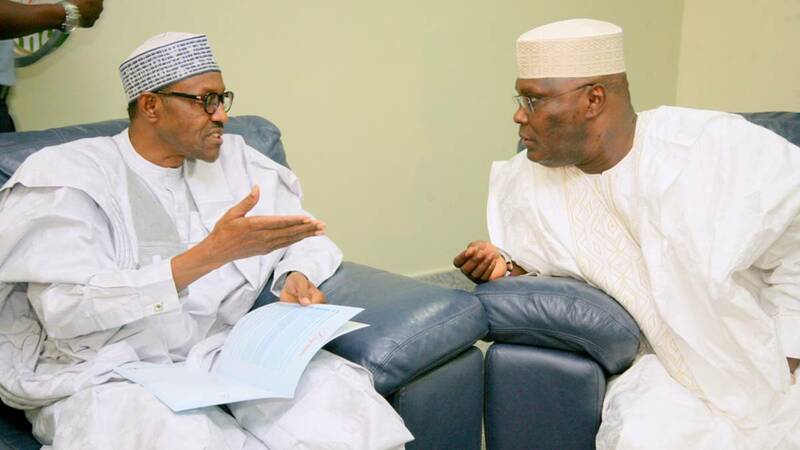 Presidential Candidate of the Peoples Democratic Party, PDP, Atiku Abubakar, has asked President Muhammadu Buhari not to blame the Nigerian system “for his failures”. Abubakar said this while reacting to Buhari’s comment that the system is slow, not him. In a statement on Wednesday, the PDP Candidate said he disagreed with what Buhari said, saying that the system will progress if the President has the will to work. “My attention has been drawn to a statement by President Muhammadu Buhari on the occasion of a Christmas homage paid on him by members of the Federal Capital Territory Community in which he blamed his inability to fight corruption on the Nigerian system,” the statement read. Abubakar accused Buhari of politicising the anti-corruption war while citing different cases of the President’s “partiality” towards members of the All Progressives Congress, APC. He said: “Mr. President, the problem with your anti-corruption war is not the system. You are the problem! “The system allows you to arrest, try and convict your former Secretary to the Government of the Federation, who was fingered in a major corruption case, but you chose to let him go Scot free and you demonstrated your tolerance for his corruption by giving him a prominent role in your re-election campaign. “The system allowed you to arrest, try and convict Abdulrasheed Maina, the biggest ever alleged thief in our civil service history. Yet you chose not to go that route, preferring instead to recall him, reinstate and double promote him while giving him armed guards to move about. “The system allows you to probe the $25 billion NNPC contracts awarded without due process, but you chose to bury the matter under the carpet. “Based on the above statement of facts, I will not allow you to make Nigeria the scapegoat for your failure. Your failure is personal, and not national. “The system did not stop the EFCC from charging the opposition Governor of Akwa-Ibom, Udom Emmanuel, as a co-accused in the case involving the NBA Chairman, Paul Usoro. Contrast this with the treatment meted out to Governor Umar Ganduje of the ruling All Progressive Congress. Abubakar also noted that Buhari’s actions has contributed to the lack of jobs in Nigeria.